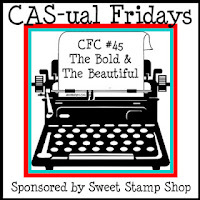 I am squeeking in on this CAS-ual Fridays #45 submission - about 90 minutes to go! This week's challenge is to create a clean & simple project using pastels and black. I used Copic markers to create this rainbow pattern - a technique I learned from last week's Make It Monday #58 tutorial on Nichole Heady's blog. 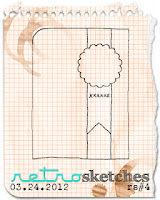 I used this week's Retrosketch #4 as my inspiration for the layout. I really love this new challenge blog. I am really tickled with this creation. Stamps~PTI Movers and Shakers Sentiments, Scattered Showers. Paper~Neenah Solar White, PTI White, Gina K Pure Luxury Black. Accessories~Copic Markers, PTI Cloud 1&2 die collection, Scattered Showers die collection, Tag Sale #5 die, Sunshine Impression plate; Dimensionals, corner rounder. Thanks you so much for coming by today! Super cute card!! I added it to my inspiration folder! I have that stamp set and haven't had the chance to use it yet...this is such a great idea! Really cute and I love what you did with the rainbow panel :) Thanks for playing with us at CAS-ual Fridays! Super card Stephanie!!! So bold and the rainbow is very clever! So glad you played in this week's RetroSketches! Yikes! You should be tickled. I love those rainbow stripes. They're so soft and pretty. The whole card is fabulous. Ann Y.
I love absolutely everything about this card!! 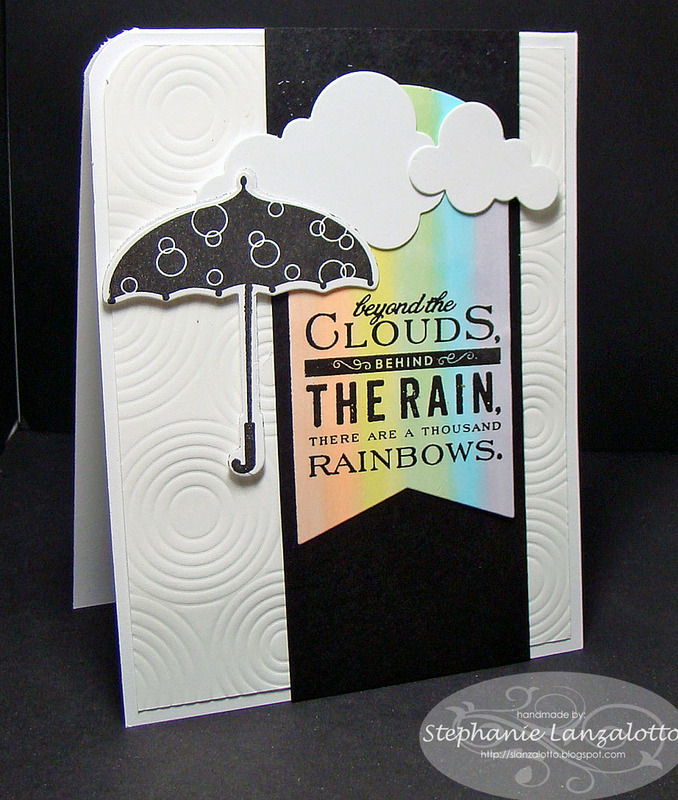 Your use of the colored stripes is perfect for the sentiment and the layout with the clouds and umbrella is s sweet! FABULOUS design, Stephanie! Love the layering and details! Thanks so much for playing with us at CAS-ual Fridays! Stephanie, I love your take on the sketch! So neat to see the elements built around the focal point like that! Thank you so much for joining us at RetroSketches this week! Stephanie, this is lovely! The rainbow really stands out form the rest of the black and white elements. Such a cute design! Love the umbrella, clouds, BG, and the colors behind your sentiment are awesome! Very pretty! !